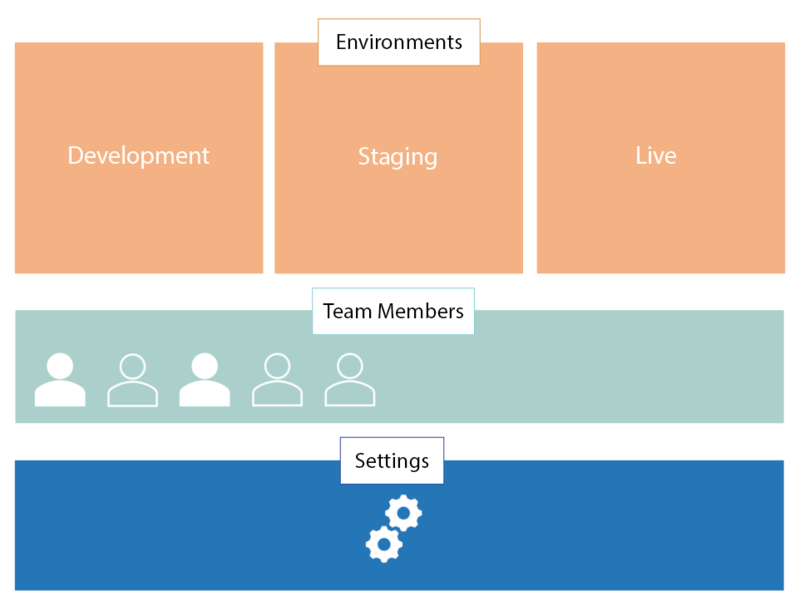 Umbraco Cloud projects are made of three major components: environments, team members and a settings section. To get a more technical overview of your Cloud environments read the Environments article. Another major component of your Umbraco Cloud project are the team members. When you add team members to a project, they will automatically be added as backoffice users on all the environments as well. Team members can be added as Admins, Writers or Readers. Read the Team Members article to learn more about these roles. Last but not least is the Settings, where you can manage and configure your project to fit your needs. Learn more about the different settings in the Project Settings article.